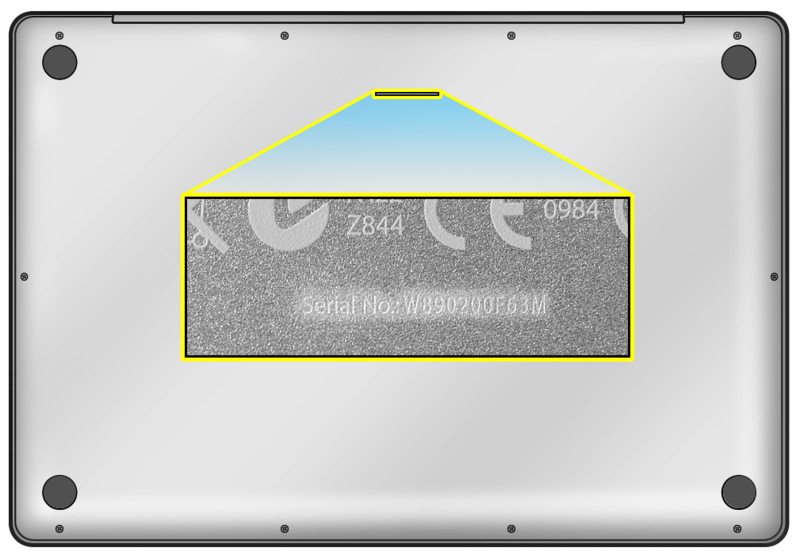 The Macbook pro serial number can be found at several places. The Apple mac serial number is present inside the OS as well as on few other places. 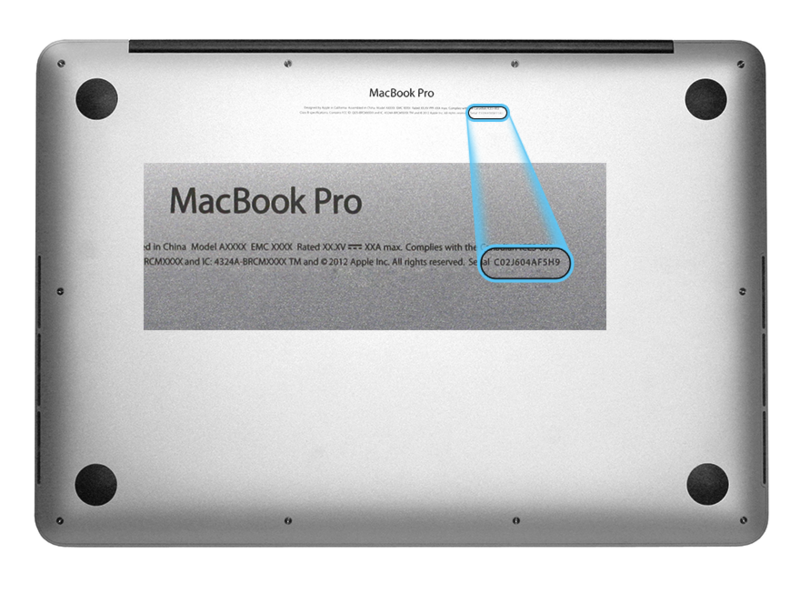 You can find the serial number of macbook pro for all models. The methods explained are the same for every model. A limited no. of Macbooks pro are shipped with different serial numbers which might conflict. 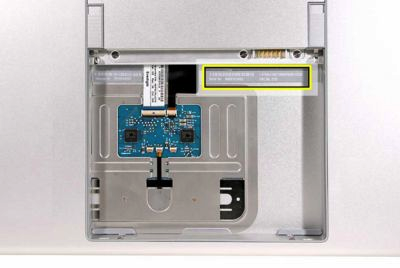 The serial number for the macbooks inside the OS and on the computer label are different. You can find the serial number from ABOUT THIS MAC Window. In OS X Yosemite, you can find the ABOUT THE MAC option from Apple Menu. Serial number is listed just above system report button. In OS X Mavericks or earlier, click on APPLE MENU and Choose ABOUT THE MAC option. Now double click the version no. to see the macbook serial no. The easiest way to lookup your apple serial no. is to look on the surface of the computer either on the back side or inside the battery bay. It totally depends on your model no. Below I am going to mention macbook model no. for which you will find serial no. on the surface. For these listed models you will find serial no. as shown below. The serial number for mac models is laser etched on the back surface of computer. The serial number is located on the front wall of the battery bay. The serial number is located on the bottom of the computer, underneath the battery in the battery bay. You need to check the barcode label of your macbook pro original packaging. Serial no. is present on the barcode label. If you are unable to follow the above 3 methods then check out the 4th one below. There are many retailers who include your Macbook pro serial no. on the receipt. You can also try to find in your invoice. I am pretty hopeful that you will surely find out apple macboook pro serial no. from one of the methods. If you have any queries then comment. This entry was posted in Macbook Tips and tagged Determine Macbook Pro Serial Number, Find Macbook Pro Model Serial Number, Find My Mac Pro Serial Number, Find Stolen Macbook Pro Serial Number, How to Find Mac Pro Serial Number, How to Find Macbook Pro Serial Number Without Computer, Identify Macbook Pro Serial Number, Where to Find Mac Pro Serial Number on July 7, 2015 by satyenhacks.